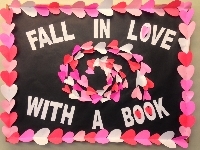 Fall in Love with a Book this February! For this swap, you'll be assigned two (2) partners whom you will send one (1) postcard to each. On the postcard write two book recommendations (with the title and the author's name). The book recommendations do not have to be in English, they can be in any language! Newbies welcome! Open to swappers with a rating of 4.25 or higher! Please send the postcard by the deadline and rate when you receive. A heart is up to you!